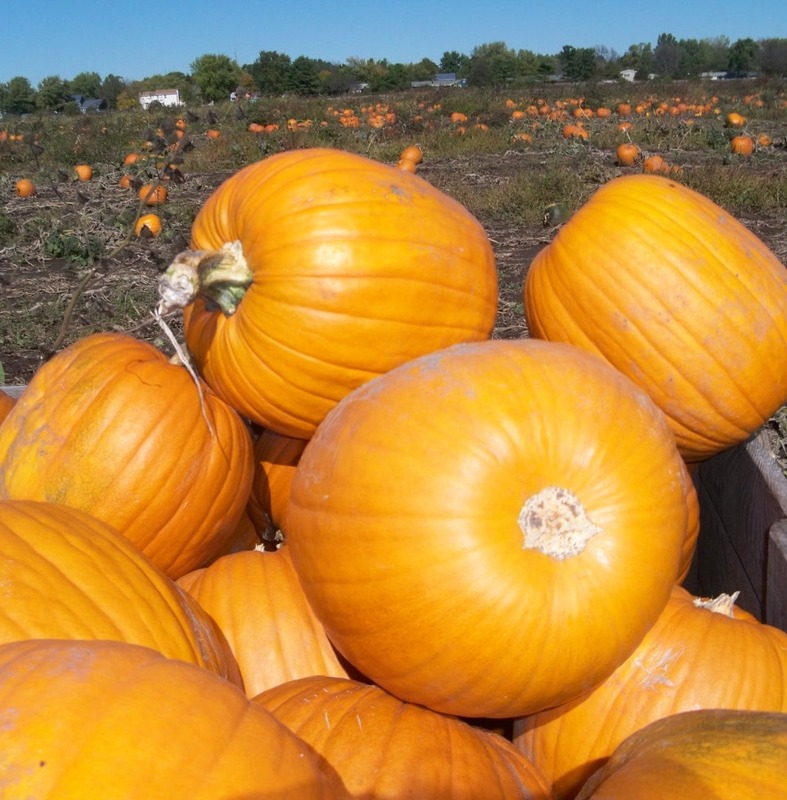 In 2011, U.S. pumpkins farmers harvested 47,300 acres of pumpkins valued at $113 million. Illinois, California, New York, Ohio, Pennsylvania and Michigan are the top pumpkin producing states. Majority of these pumpkins are canned at Libby’s® pumpkin processing plant owned by Nestlé Food Company in Morton,Illinois; which cans more than 85 percent of the world’s pumpkin each year. Pumpkins can range in size from less than one pound to more than 1,000 pounds. . The 5- to 10-pound pie pumpkin varieties are most often grown. Pumpkins in the 10- to 25-pound range are primarily used for jack-o-lanterns and can also be used for processing. Pumpkins above 25 pounds are called giant. Giant pumpkins typically range between 25 to 75 pounds in size. Pumpkins are fruit rich in Vitamin A and potassium. Native Americans used pumpkins in variety way including material for mats but also used the seed for food and seed. Similar to the first Thanksgiving, the pumpkin is a featured ingredient.